Today’s analytics initiatives are changing how data needs to be moved, stored, processed, and analyzed. It’s easy to underestimate the resulting organizational and technical challenges. To achieve the promise of analytics, underlying data architectures need to process high volumes of fast-moving data from many sources, efficiently and in real-time. Enter change data capture (CDC) technology. CDC can modernize your data and analytics environment with scalable, efficient and real-time data integration that does not impact mission-critical production systems. 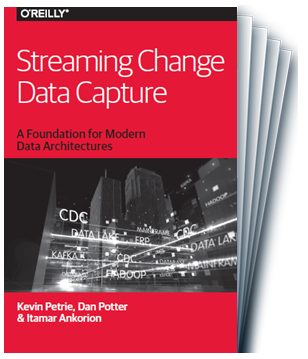 To learn more, check out Attunity’s new book, Streaming Change Data Capture—A Foundation for Modern Data Architectures, by technology experts Kevin Petrie, Dan Potter, and Itamar Ankorion. It serves as a practical guide for enterprise architects, data managers and CIOs as they navigate their way around CDC technology to enable modern data lake, streaming and cloud architectures. Download Your Free Book here.